First ever thermostatically controlled heated plastic poultry fount keeps water from freezing during the winter. The 100 watt heater operates automatically. 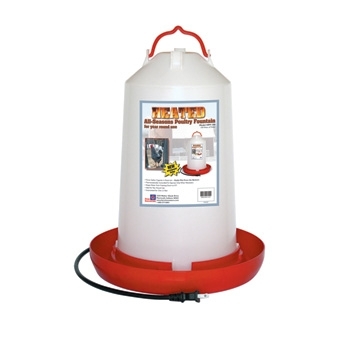 The 3 gallon fount can be used year round because it has no cord, simply an electrical connection on the base of the unit. One year warranty.